Portrait of Angel Fernández de Soto is a study of a young Spanish artist sitting in a bar, shrouded in tobacco smoke from a pipe, with a glass of absinthe in front of him. 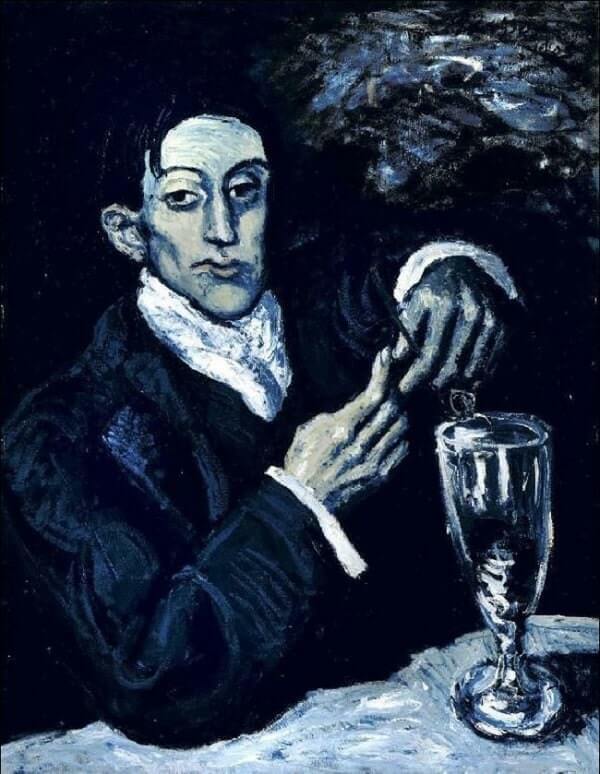 The young man, Fernández de Soto, was Picasso's friend and was usually referred to as an "amusing wastrel", as he enjoyed drinking and partying. Picasso met Fernández de Soto in 1899 and they twice shared studios in Barcelona. The portrait gives an insight into the life of Picasso and his circle of friends, and Picasso immortalized Fernández de Soto in several of his paintings. Picasso's major influences at time of this painting were was the Spanish Old Masters El Greco and Francisco Goya, whose works he had seen in the Prado. In this painting, we see de Soto after the party, lonely beyond all belief, surrounded by nothing but shadows, with a look of bored disdain on his sickly-looking face. Like all Blue Period paintings, the whole pictured world is seen through a dark blue lens, however this one has a near impressionistic chaos to the brush strokes that sets it apart from his others at this time. The painting was sold for £34,761,250 in Christie's auction in London in 23 May 2010, and marks the 2nd highest price for a work of art sold by Christie's in Britain.